Manicures and pedicures can be pretty. The cosmetic products used, such as nail polishes and nail polish removers, also must be safe—and are regulated by the U.S. Food and Drug Administration. The FDA also regulates devices used to dry (or “cure”) artificial nails or gel nail polish as electronic products because they emit radiation. You can do your part to stay safe (and look polished, too) by following all labeled directions and paying attention to any warning statements listed on these products. Cosmetic ingredients (except most color additives) and products, including nail products, do not need FDA approval before they go on the market. Some nail products can catch fire easily so you should not expose them to flames (such as from a lit cigarette) or heat sources (such as a curling iron). Some can injure your eyes, so you should avoid this exposure. Some should only be used in areas with good air circulation (ventilation). Some ingredients can be harmful if swallowed, so these products should never be consumed by any person or pet. Also know that retail cosmetics such as those sold in stores or online must list ingredients in the order of decreasing amounts. If you’re concerned about certain ingredients, you can check the label and avoid using products with those ingredients. The bottom line? Read the labels of cosmetic products and follow all instructions. And if you go to a salon for a manicure or pedicure, make sure the space has good ventilation. 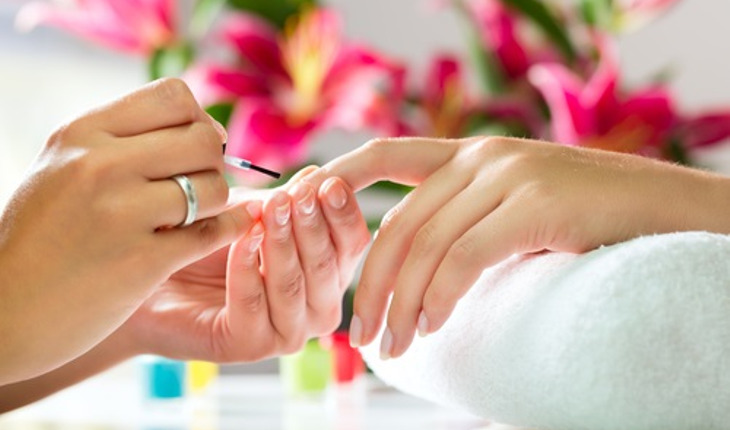 Note: Nail salon practices are regulated by the states, and not the FDA. If you’re a nail salon owner or employee, you can find information on maintaining safe salons on the webpage of the U.S. Department of Labor’s Occupational and Health Safety Administration. If you have questions about whether certain nail products are right for you, talk to your health care provider. Exposure to UV radiation can cause damage to your skin, especially if you’re exposed over time. For example, it can lead to premature wrinkles, age spots, and even skin cancer. To date, the FDA has not received any reports of burns or skin cancer attributed to these lamps. That said, if you’re concerned about potential risks from UV exposure, you can avoid using these lamps. You may particularly want to avoid these lamps if you’re using certain medications or supplements that make you more sensitive to UV rays. These medications include some antibiotics, oral contraceptives, and estrogens—and supplements can include St. John’s Wort. See an extended list of medications that can cause sun sensitivity on the FDA’s website. Also remove cosmetics, fragrances, and skin care products (except sunscreen!) before using these lamps, as some of these products can make you more sensitive to UV rays. If you have questions about using nail drying or curing lamps, consult a health care professional. Wearing UV-absorbing gloves that expose only your nails. Finally, nail curing lamps usually come with instructions for exposure time. The shorter your exposure, the less risky the exposure, in general. So always follow labeled directions when available. In general, you should not use these devices for more than 10 minutes per hand, per session. If you ever have a bad reaction to a cosmetic nail product or nail curing lamp, please consult your health care provider and then tell the FDA. You can call an FDA Consumer Complaint Coordinator (phone numbers for your area are online) or report the problem via MedWatch, the FDA Safety Information and Adverse Event Reporting program.